Whether you are buying kids costumes or making them yourself, you and the kids will have fun this Halloween. 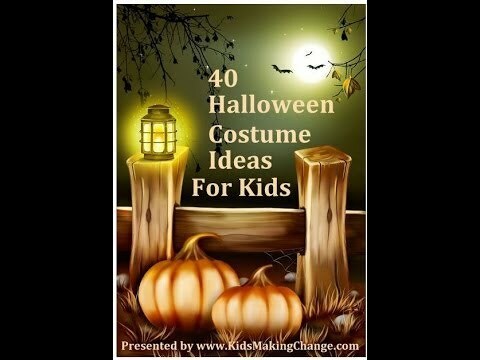 Of course you can shop Halloween costumes for all ages and sizes, but if you want to get creative you can make your own costumes, scary or cute, whatever fits your kids desire. You just need black pants and a black shirt with long sleeves and white ribbon. Now imagine a skeleton and simply cut and glue the ribbon for the bones, spine, and ribs. You need an orange baseball cap and rain boots, yellow pants and sweatshirt, a ping-pong ball, and a boa with yellow feathers. Take the baseball cap, cut the ping-pong ball in half and paint black with a marker, glue one half ball to each side of the cap. Snip some feather and glue them on the cap. Glue more feathers on shirt and pants (mainly to the arms and chest). P.S. Please continue to my next article on Disney princess costumes for girls, they are so cute. Stay with me if you want more inspirational toys for kids.